Health is a state of complete physical, mental and social well-being, and not merely the absence of disease or infirmity! On this note, a special assembly was recently organized by our grade 10 students on the occasion of World Health Day at Presidium, Hisar. Packed with great zeal and enthusiasm, the students started the assembly by showcasing an array of interesting programmes like a beautiful thought on topic ‘the greatest wealth is health’, apprising all of the importance of health and what are its objectives. An awareness drive was also organised, wherein the students showcased the ‘themes’ of World Health Day from 2011 to 2018, along with their meanings. 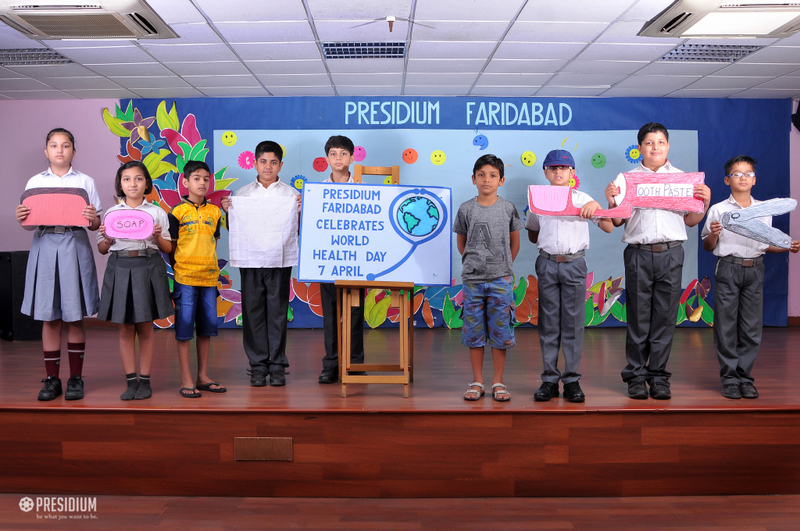 Culminating with a small quiz on World Health Day, the day enlightened the young learners about the significance of healthy diet, exercise and good health in life.